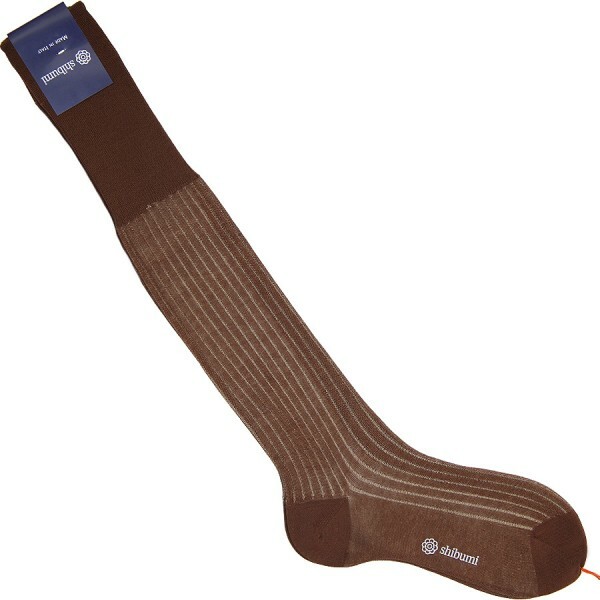 Product information "Knee Socks - Shadow Stripes - Brown / Beige - Pure Cotton"
Shibumi Socks are made by one of the best manufacturers in the world in northern Italy to the highest standards of quality. Decades of experience pay off: the colors are fresh and brilliant, the cotton soft, but durable. The toe is closed by hand, so there is no bulky seam on your toes; heel and toes are also reinforced, greatly expanding the lifespan of the socks. Our socks are made of fine, mercerised Egyptian cotton in a year-round weight. Related links to "Knee Socks - Shadow Stripes - Brown / Beige - Pure Cotton"